Last year Apple embraced external graphics processing units. 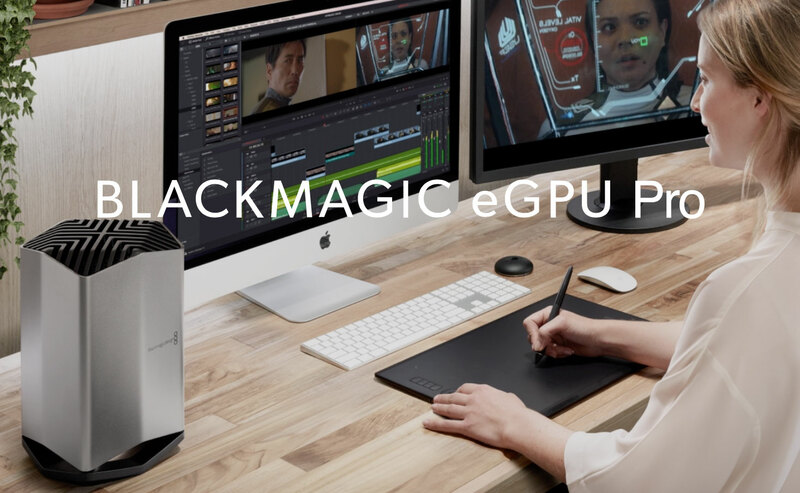 Blackmagic Design responded with the release of its AMD-powered eGPU model. Many questioned their choice of the Radeon Pro 580 chip instead of something more powerful. That challenge has been answered with the new Blackmagic eGPU Pro. It sports the Radeon RX Vega 56 – a similar model to the one inside the base iMac Pro configuration. 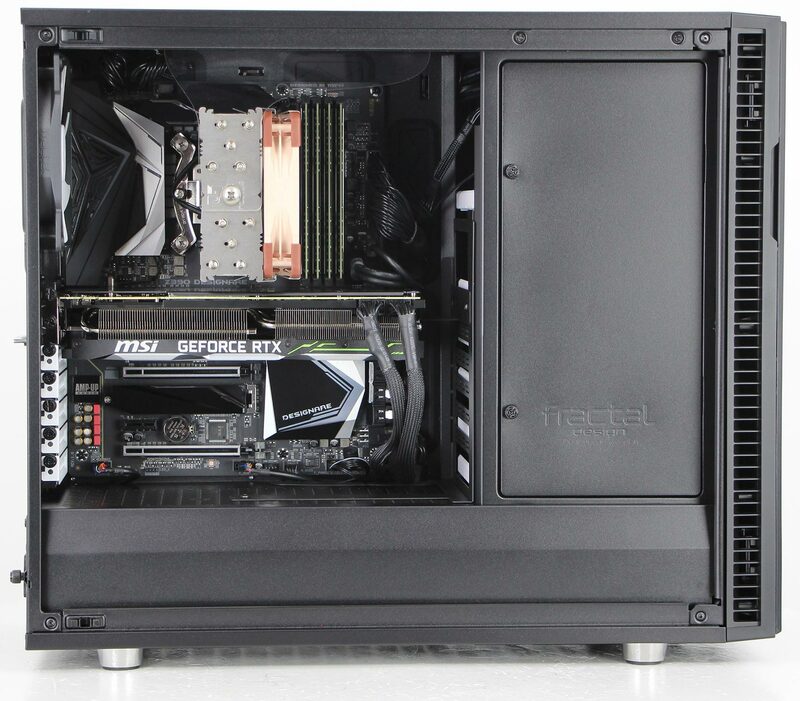 The two eGPU models are nearly identical in design, but in addition to more processing power, the eGPU Pro adds a DisplayPort connection that can support 5K monitors. The eGPU Pro includes two Thunderbolt 3/USB-C ports with 85W charging capability, HMDI, DisplayPort, and four USB-A type connectors for standard USB-3.1 devices. This means you can connect multiple peripherals and displays, plus power your laptop. 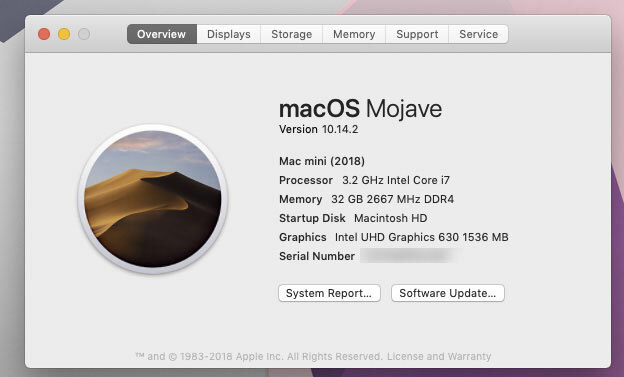 You’ll need a Thunderbolt 3 connection from the computer and then either eGPU model becomes plug-and-play with Mojave (macOS 10.14) or later. With Mojave, most current creative apps, like Final Cut Pro X, Premiere Pro, Resolve, etc. offer a preference selection to always use the eGPU (when connected) from the application’s Get Info panel. This is an “either/or” choice. 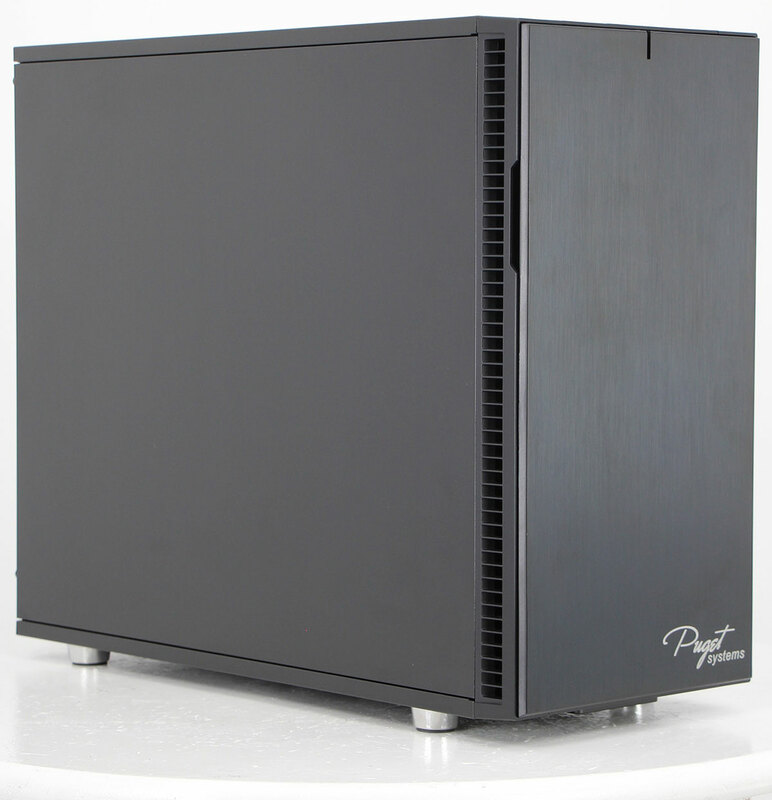 The application does not combine the power of both GPUs for maximum performance. When you pull up the Activity Monitor, you can easily see that the internal GPU is loafing while the eGPU Pro does the heavy lifting during tasks such as rendering. External GPUs benefit Macs with low-end, built-in GPUs, like the 13″ MacBook Pro or the Mac mini. A Blackmagic eGPU or eGPU Pro wouldn’t provide an edge to the render times of an iMac Pro, for example. It wouldn’t be worth the investment, unless you need one to connect additional high-resolution displays. Users who are unfamiliar with external GPUs assume that the advantage is in faster export and render times, but that’s only part of the story. Not every function of an application uses the GPU, so many factors determine rendering. 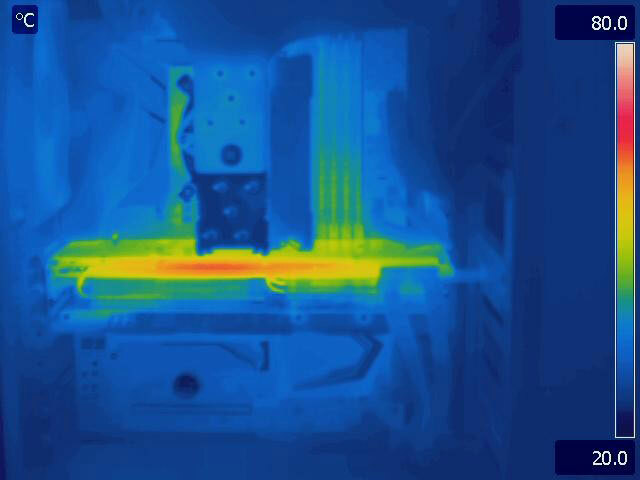 External GPU technology is very much about real-time image output. An eGPU will allow more connected displays of higher resolutions than an underpowered Mac would normally support on its own. The eGPU will also improve real-time playback of effects-heavy timelines. So yes, editors will get faster exports, but they will also enjoy a more fluid editing experience. In my Mac mini review, I concluded that a fully-loaded configuration made for a very capable editing computer. However, if you tend to use a number of effects that lean on GPU power, you will see an impact on real-time playback. For example, with the standard Intel GPU, I could add color correction, gaussian blur, and a title, and playback was generally fine with a fast drive. 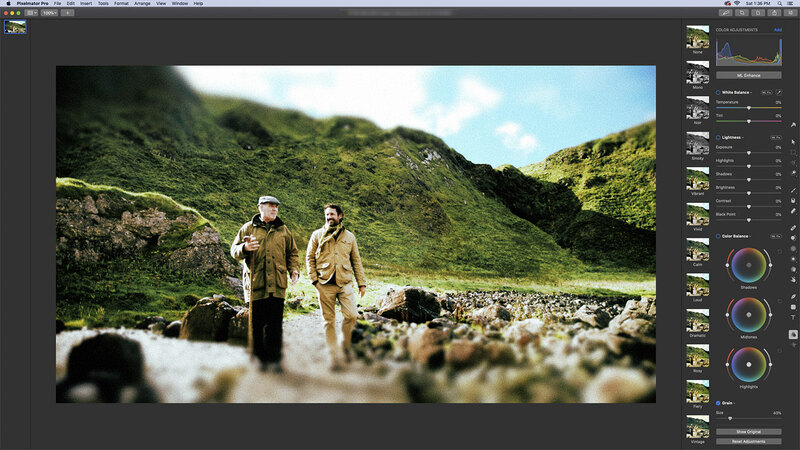 But, when I added a mask to the blur, it quickly dropped frames during playback. Once I connected the eGPU Pro to this same Mac Mini, such timelines played fluidly and, in fact, more effects could be layered onto clips. As in my other tests, Final Cut Pro X performed the best, but Premiere Pro and Resolve also performed solidly. For basic rendering, I tested the same sequence that I used in the Mac mini review. This is a 9:15-long 1080p timeline made up of 4K source clips in a variety of codecs, plus scaling and color correction. I exported ProRes and H.264 master files from FCPX, Premiere Pro, and Resolve. With the eGPU Pro, times were cut in the range of 12% (FCPX) to 54% (Premiere). An inherently fast renderer, like Final Cut, gained the least by percentage, as it already exhibited the fastest times overall. Premiere Pro saw the greatest gain from the addition of the eGPU Pro. This is a major improvement over last year when Premiere didn’t seem to take much advantage of the eGPU. Presumably both Apple and Adobe have optimized performance when an eGPU is present. A timeline export test is real-world but may or may not tax a GPU. So, I set up a specific render test for that purpose. I created a :60 6K timeline (5760×3240) composed of a nine-screen composite of 4K clips scaled into nine 1920×1080 sections. Premiere Pro would barely play this at even 1/16th resolution using only the Intel. With the eGPU Pro, it generally played at 1/2 resolution. This was exported to a final 1080 ProRes file. During my base test (without the eGPU connected) Premiere Pro took over 31 minutes with “maximum quality” selected. A standard quality export was about eight minutes, while Final Cut Pro X took five minutes. Once I re-connected the eGPU Pro, the same timelines exported in 3:20 under all three test scenarios. That’s a whopping 90% reduction in time for the most taxing condition! 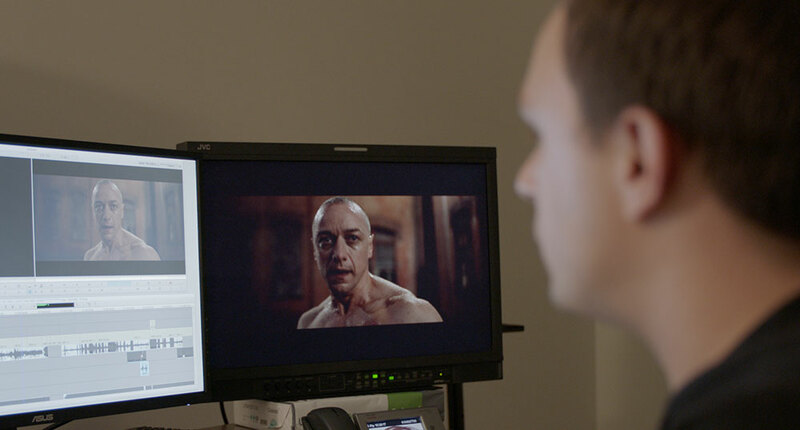 One last GPU-centric test was the BruceX test, which has been devised for Final Cut. The result without the eGPU was :58, but an impressive :16 when the eGPU Pro was used. 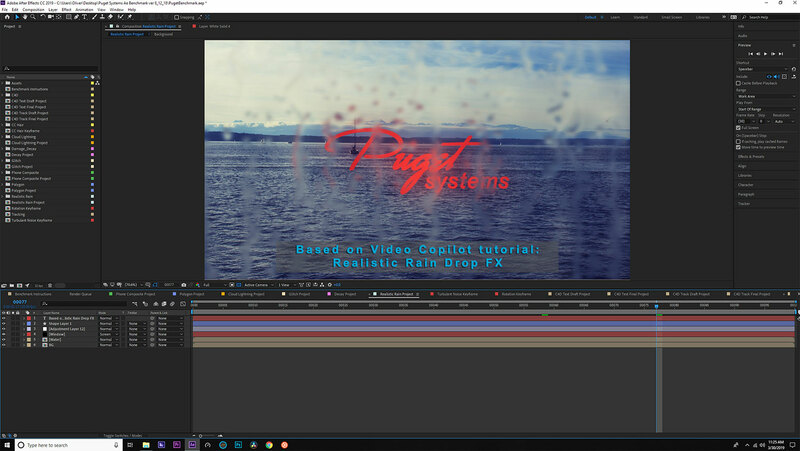 As you can see, effects-heavy work will benefit from the eGPU Pro, not only in faster renders and exports, but also improved real-time editing. This is also true of Resolve timelines with many nodes and in other graphics applications, like Pixelmater Pro. The 2018 Mac mini is a capable mid-range system when you purchase it with the advanced options. 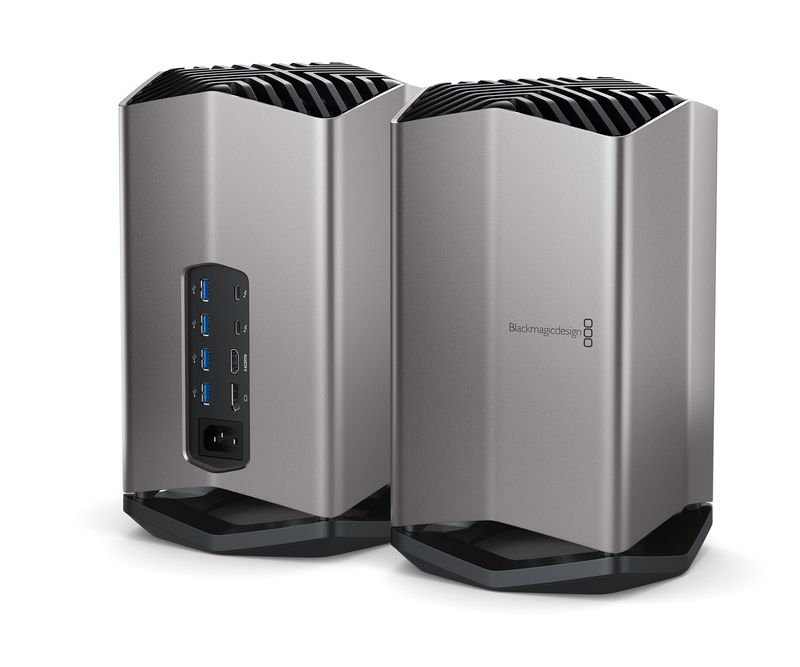 Nevertheless, users who need that extra grunt will definitely see a boost from the addition of a Blackmagic eGPU Pro. Writer/director M. Night Shyamalan has become synonymous with films about the supernatural that end with a twist. He first gained broad attention with The Sixth Sense and in the two decades since, has written, produced, and directed a range of large and small films. In recent years, he has taken a more independent route to filmmaking, working with lower budgets and keeping close control of production and post. His latest endeavor, Glass, also becomes the third film in what is now an unconventional trilogy, starting first with Unbreakable, released 19 years ago. 2017’s Split was the second in this series. Glass combines the three principal characters from the previous two films – David Dunn/The Overseer (Bruce Willis), Elijah Price/Mr. Glass (Samuel L. Jackson), and Kevin Wendell Crumb (James McAvoy), who has 23 multiple personalities. Shyamalan likes to stay close to his northeastern home base for production and post, which has afforded an interesting opportunity to young talent. One of those is Luke Ciarrocchi, who edited the final two installments of the trilogy, Split and Glass. This is only his third film in the editor’s chair. 2015’s The Visit was his first. Working with Shyamalan has provided him with a unique opportunity, but also a master class in filmmaking. 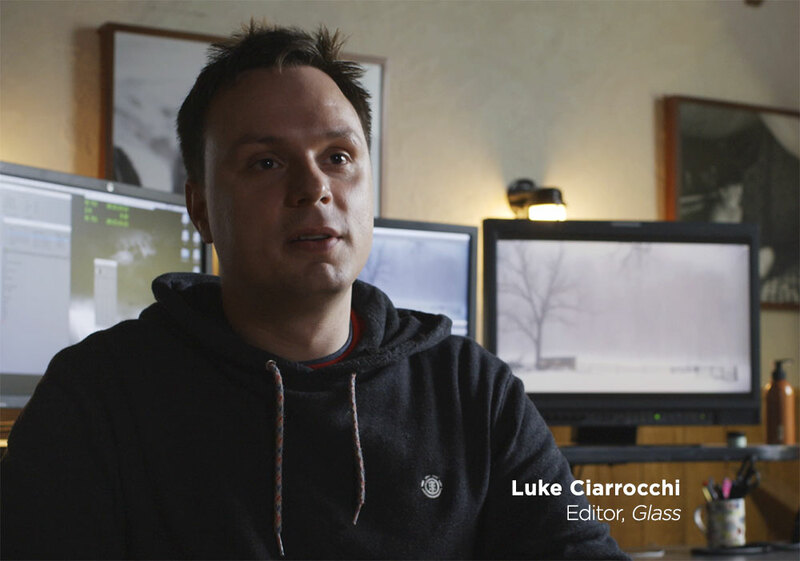 I recently spoke with Luke Ciarrocchi about his experience editing Glass. [OP] You’ve had the enviable opportunity to start your editing career at a pretty high level. Please tell me a bit about the road to this point. [LC] I live in a suburb of Philadelphia and studied film at Temple University. My first job after college was as a production assistant to the editing team on The Happening with editor Conrad Buff (The Huntsman: Winter’s War, Rise of the Planet of the Apes, The Last Airbender) and his first assistant Carole Kenneally. When the production ended, I got a job cutting local market commercials. It wasn’t glamorous stuff, but it is where I got my first experience working on Avid [Media Composer] and really started to develop my technical knowledge. I was doing that for about seven months when The Last Airbender came to town. 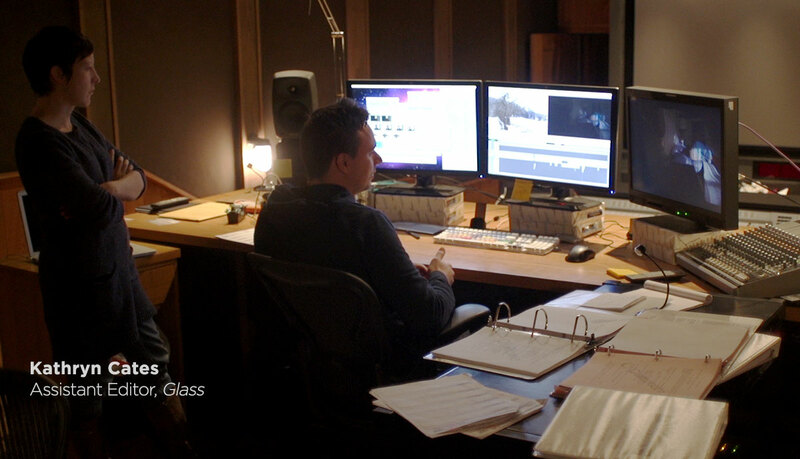 I was hired as an apprentice editor by the same editing crew that I had worked with on The Happening. It was on that film that I started to get onto Night’s radar. I was probably the first Philly local to break into his editing team. There’s a very solid and talented group of local production crew in Philly, but I think I was the first local to join the Editors Guild and work in post on one of his films. Before that, all of the editing crew would come from LA or New York. So that was a big ‘foot in the door’ moment, getting that opportunity from Conrad and Carole. I learned a lot on Airbender. It was a big studio visual effects film, so it was a great experience to see that up close – just a really exciting time for me. During development of After Earth, even before preproduction began, Night asked me to build a type of pre-vis animatic from the storyboards for all the action sequences. I would take these drawings into After Effects and cut them up into moveable pieces, animate them, then cut them together into a scene in Avid. I was putting in music and sound effects, subtitles for the dialogue, and really taking them to a pretty serious and informative level. I remember animating the pupils on one of the drawings at one point to convey fear (laughs). We did this for a few months. I would do a cut, Night would give me notes, maybe the storyboard artist would create a new shot, and I would do a recut. That was my first back-and-forth creative experience with him. 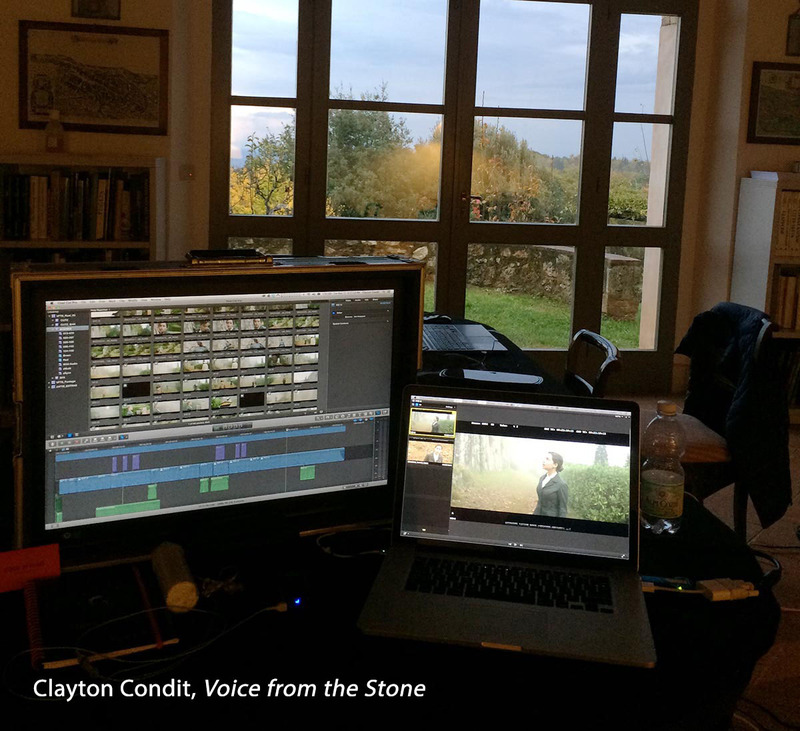 Once the film began to shoot, I joined the editing team as an assistant editor. 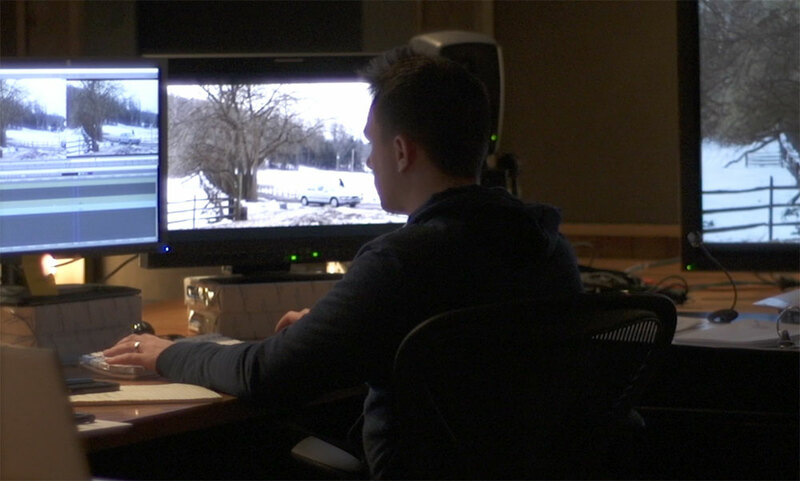 At the end of post – during crunch time – I got the opportunity to jump in and cut some actual scenes with Night. It was surreal. I remember sitting in the editing room auditioning cuts for him and him giving notes and all the while I’m just repeating in my head, ‘Don’t mess this up, don’t mess this up.’ I feel like we had a very natural rapport though, besides the obvious nervousness that would come from a situation like that. We really worked well together from the start. We both had a strong desire to dig deep and really analyze things, to not leave anything on the table. But at the same time we also had the ability to laugh at things and break the seriousness when we needed to. We have a similar sense of humor that to this day I think helps us navigate the more stressful days in the editing room. Personality plays a big roll in the editing room. Maybe more so then experience. I may owe my career to my immature sense of humor. I’m not sure. [OP] These three films, including Glass, are being considered a trilogy, even though they span about two decades. How do they tie together, not just in story, but also style? [LC] I think it’s fair to call Glass the final installment of a trilogy – but definitely an untraditional one. First Unbreakable, then 19 years later Split, and now Glass. They’re all in the same universe and hopefully it feels like a satisfying philosophical arc through the three. The tone of the films is ingrained in the scripts and footage. Glass is sort of a mash-up of what Unbreakable was and what Split was. Unbreakable was a drama that then revealed itself as a comic book origin story. 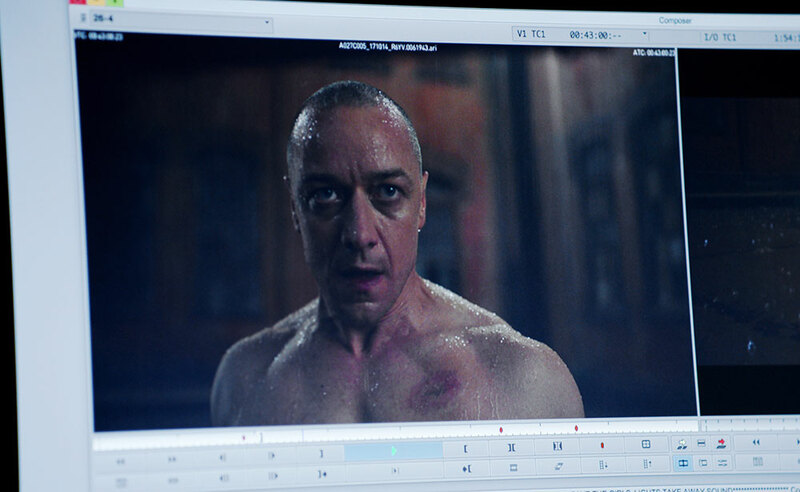 Split was more of a thriller – even horror at times – that then revealed itself as part of this Unbreakable comic book universe. 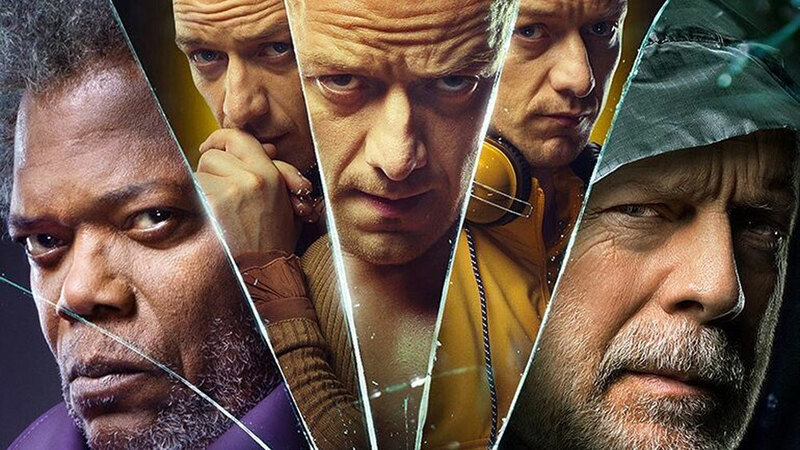 Glass is definitely a hybrid of tone and genre representing the first two films. [OP] Did you do research into Unbreakable to study its style? [LC] I didn’t have to, because Unbreakable has been one of my favorite films since I was 18. It’s just a beautiful film. I loved that in the end it wasn’t just about David Dunn accepting who he was, but also Elijah finding his place in the world only by committing these terrible crimes to discover his opposite. He had to become a villain to find the hero. It’s such a cool idea and for me, very rewatchable. The end never gets old to me. So I knew that film very, very well. [OP] Please walk me through your schedule for post-production. [LC] We started shooting in October of 2017 and shot for about two month. I was doing my assembly during that time and the first week of December. Then Night joined me and we started the director’s cut. The way that Night has set up these last three films is with a very light post crew. It’s just my first assistant, Kathryn Cates, and me set up at Night’s offices here in the suburbs of Philadelphia with two Avids. We had a schedule that we were aiming for, but the release date was over a year out, so there was wiggle room if it was needed. Night’s doing this in a very unconventional way. He’s self-financing, so we didn’t need to go into a phase of a studio cut. After his director’s cut, we would go into a screening phase – first just for close crew, then more of a friends-and-family situation. Eventually we get to a general audience screening. We’re working and addressing notes from these screenings, and there isn’t an unbearable amount of pressure to lock it up before we’re happy. [OP] I understand that your first cut was about 3 1/2 hours long. It must take a lot of trimming and tweaking to get down to the release length of 129 minutes. What sort of things did you do to cut down the running time from that initial cut? [LC] One of our obstacles throughout post was that initial length. You’re trying to get to the length that the film wants to be without gutting it in the process. You don’t want to overcut as much as you don’t want to undercut. We had a similar situation on Split, which was a long assembly as well. The good news is that there’s a lot of great stuff to work with and choose from. We approach it very delicately. After each screening we trimmed a little and carefully pulled things out, so each screening was incrementally shorter, but never dramatically so. Sometimes you will learn from a screenings that you pulled the wrong thing out and it needed to go back in. Ultimately no major storyline was cut out of Glass. It was really just finding where we are saying the same thing twice, but differently – diagnosing which one of those versions is the more impactful one – then cutting the others. And so, we just go like that. Pass after pass. Reel by reel. An interesting thing I’ve found is that when you are repeating things, you will often feel that the second time is the offensive moment of that information and the one to remove, because you’ve heard it once before. But the truth is that the first telling of that information is more often what you want to get rid of. By taking away the first one, you are saving something for later. Once you remove something earlier, it becomes an elevated scene, because you are aren’t giving away so much up front. [OP] What is your approach to getting started when you are first confronted with the production footage? What is your editing workflow like? [LC] I’m pretty much paper-based. I have all of the script supervisor’s notes. Night is very vocal on set about what he likes and doesn’t like, and Charlie Rowe, our script supervisor, is very good at catching those thoughts. On top of that, Night still does dailies each day – either at lunch or the end of the day. As a crew, we get together wherever we are and screen all of the previous day’s footage, including B-roll. I will sit next to Night with a sheet that has all of the takes and set-ups with descriptions and I’ll take notes both on Night’s reactions, as well as my own feelings towards the footage. With that information, I’ll start an assembly to construct the scene in a very rough fashion without getting caught up in the small details of every edit. It starts to bring the shape of the scene out for me. I can see where the peaks and valleys are. Once I have a clearer picture of the scene and its intention, I’ll go back through my detailed notes – there’s a great look for this, there’s a great reading for that – and I find where those can fit in and whether they serve the edit. You might have a great reaction to something, but the scene might not want that to be on-camera. So first I find the bones of the scene and then I dress it up. Night gets a lot range from the actors from the first take to the last take. It is sometimes so vast that if you built a film out of only the last takes, it would be a dramatically different movie than if you only used take one. With each take he just pushes the performances further. So he provides you with a lot of control over how animated the scene is going to be. In Glass, Elijah is an eccentric driven by a strong ideology, so in the first take you get the subdued, calculated villain version of him, but by the last take it’s the carnival barker version. The madman. [OP] Do you get a sense when screening the dailies of which way Night wants to go with a scene? [LC] Yes, he’ll definitely indicate a leaning and we can boil it down to a couple of selects. I’ll initially cut a scene with the takes that spoke to him the most during the dailies and never cut anything out ahead of time. He’ll see the first cuts as they were scripted, storyboarded, and shot. I’ll also experiment with a different take or approach if it seems valid and have that in my back pocket. He’s pretty quick to acknowledge that he might have liked a raw take on set and in dailies, but it doesn’t work as well when cut together into a scene. So then we’ll address that. [OP] As an Avid editor, have you used Media Composer’s script integration features, like ScriptSync? [LC] I just had my first experience with it on a Netflix show. I came on later in their post, so the show had already been set up for ScriptSync. It was very cool and helpful to be able to jump in and quickly compare the different takes for the reading of a line. It’s a great ‘late in the game’ tool. Maybe you have a great take, but just one word is bobbled and you’d like to find a replacement for just that word. Or the emotion of a key word isn’t exactly what you want. It could be a time-saver for a lot of that kind of polishing work. [OP] What takeaways can you share from your experiences working with M. Night Shyamalan? [LC] Night works in the room with you everyday. He doesn’t just check in once a week or something like that. It’s really nice to have that other person there. I feel like often times the best stuff comes from discussing it and talking it through. He loves to deconstruct things and figure out the ‘why’. Why does this work and this doesn’t? I enjoy that as well. After three films of doing that, you learn a lot. You’re not aware of it, but you’re building a toolkit. These tools and choices start to become second nature. On the Netflix show that I just did, there were times where I didn’t have anyone else in the room for long stretches and I started to hear those things that have become inherent in my process clearer. I started to take notice of what had become my second nature – what the last decade had produced. Editing is something you just have to do to learn. You can’t just read about it or study a great film. You have to do it, do it again, and struggle with it. You need to mess it up to get it right. This interview is going online after Glass has scored its third consecutive weekend in the number one box office slot. Split was also number one for three weeks in a row. That’s a pretty impressive feat and fitting for the final installment of a trilogy. Be sure to also check out Steve Hullfish’s AOTC interview with Luke Ciarrocchi here. It’s hard to pigeonhole the new Mac mini into any specific market, since the size and modular design fit the needs of many different users. Data centers, servers, and Compressor encoding clusters come to mind, but it’s also ideal for many location productions, such as DIT work, stage lighting and sound control. 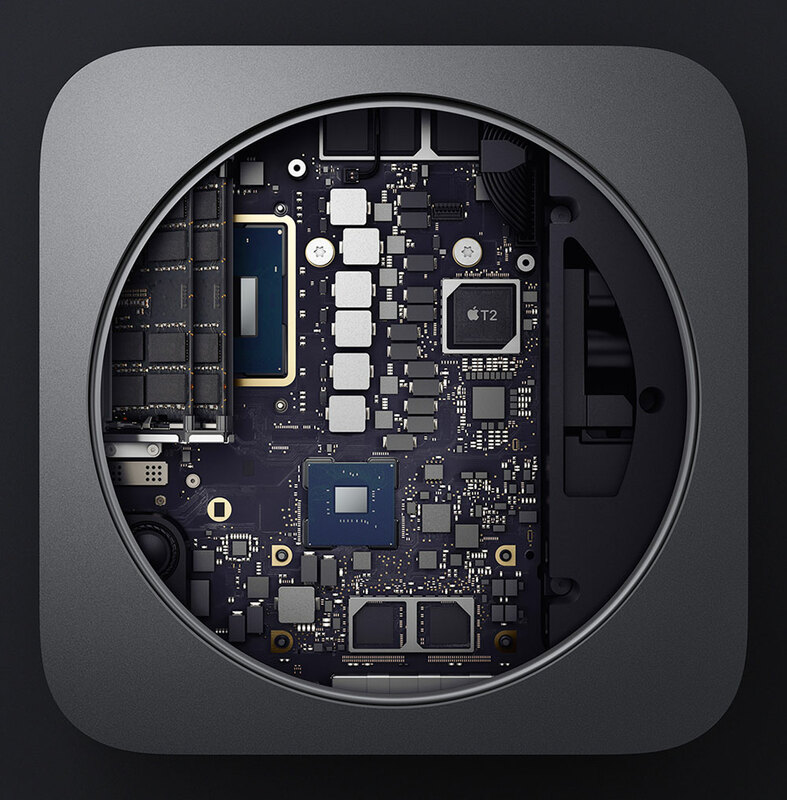 If you are replacing an aging computer, already own the other peripherals, and prefer the macOS ecosystem, then the Mac mini may be enticing. 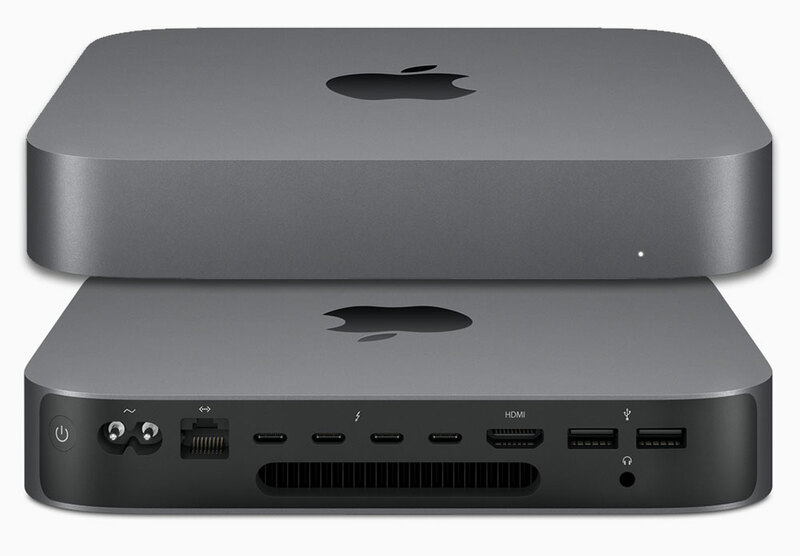 The 2018 Mac mini features a familiar form factor that’s been revamped with a new thermal architecture, bigger fans, and redesigned power supply. It features eighth-generation Intel Core quad-core and six-core processor options, RAM that tops out at 64GB, and flash storage (SSD) up to 2TB. Connectivity includes four Thunderbolt 3 / USB-C ports (two internal buses), HDMI 2.0, two standard USB 3.1 ports, Bluetooth, wi-fi, a headphone jack, and an ethernet port. The latter can be bumped up to 10GigE in build-to-order machines. RAM is technically upgradeable, but Apple recommends Apple-certified service centers and not user replacement. Apple loaned me a six-core 3.2 GHz i7 model with 32GB of RAM and a 1TB SSD. Mac minis start at $799, but this configuration would cost you $2,499. When you first unbox the Mac you will need to figure out how to connect an external display. A Thunderbolt 3 display, like the LG UltraFine 5K on Apple’s website, or a low-end display that uses HDMI are both clear options. However, if you already own a monitor that connects via Mini DisplayPort, DisplayPort, VGA, or DVI, then you’ll need to purchase a Thunderbolt 3 adapter specific to that connection standard. Other possibilities include connecting your monitor through an eGPU or a Thunderbolt dock that has the correct ports. I tested both CalDigit and OWC docks with 27″ Apple Retina and Dell displays and everything worked fine. A minor issue, but something to consider before you can even start using your Mac mini. I put the Mac mini through its paces with Premiere Pro, Final Cut Pro X, DaVinci Resolve, and Pixelmater Pro to cover editing, color correction, and photo manipulation. Although I didn’t test the Mac mini extensively with Logic Pro X, this computer would also be a good choice for sound design, mixing, and music creation. My initial impressions are that this is a very capable computer for creative pros and that the Intel GPU is more than adequate for most tasks. I’ve been testing the Mac mini with an episode from a real production that I work on, which is a nine-minute-long travel segment edited in Premiere Pro and graded in Resolve. I also brought the Premiere sequence into FCPX for comparison testing. To me that’s more telling than any artificial benchmark score. The native media sources are 4K in a 1080p/23.98 timeline. 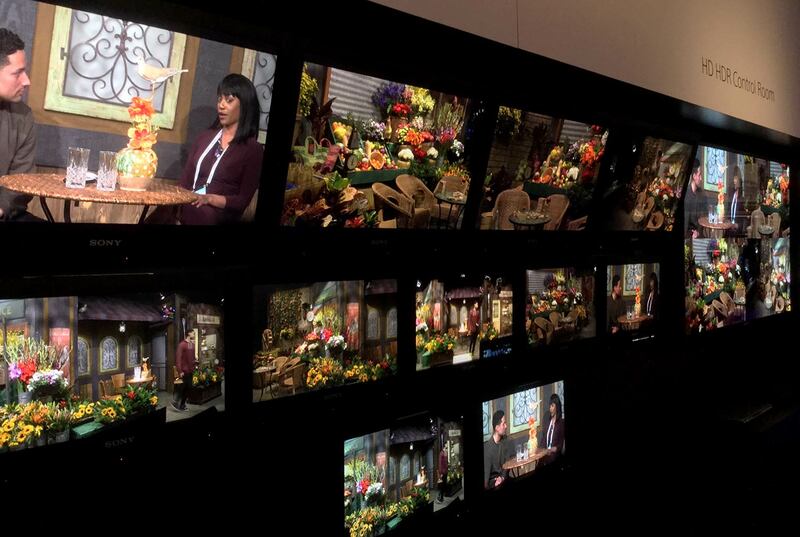 Footage covers a mix of cameras and codecs, including ProResHQ, XAVC, H.264, and H.265. Sequence clip effects include resizing, speed changes, Lumetri color correction (or FCPX’s color tools), plus an audio mix. In short, everything that the offline/creative editor used. 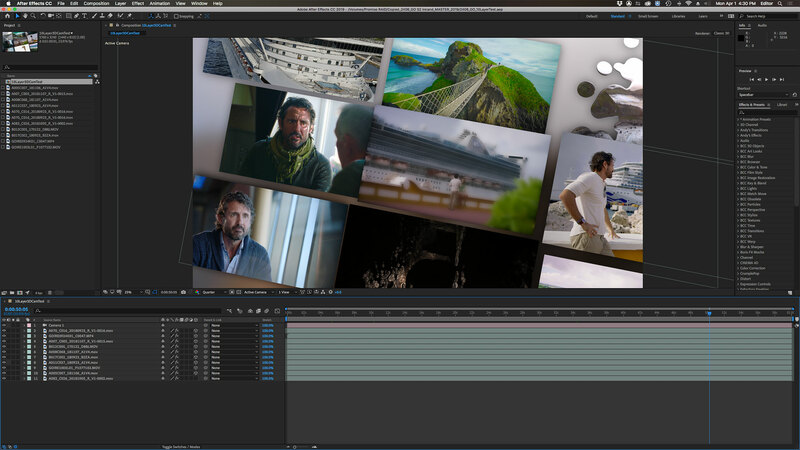 The Resolve grade consists of 145 clips averaging three to five nodes on every clip. To keep my render tests consistent across several machines, all media and project files were loaded to an external LaCie Rugged portable drive connected over USB-3. ProRes and H.264 exports from each application were used to compare the Mac mini against two other Macs – my mid-2014 Retina MacBook Pro (the last series using Nvidia GPU cards) and a current 10-core iMac Pro. Premiere Pro and Resolve rendering was set to OpenCL, an open GPU standard, which still seems to yield the fastest results for these apps. 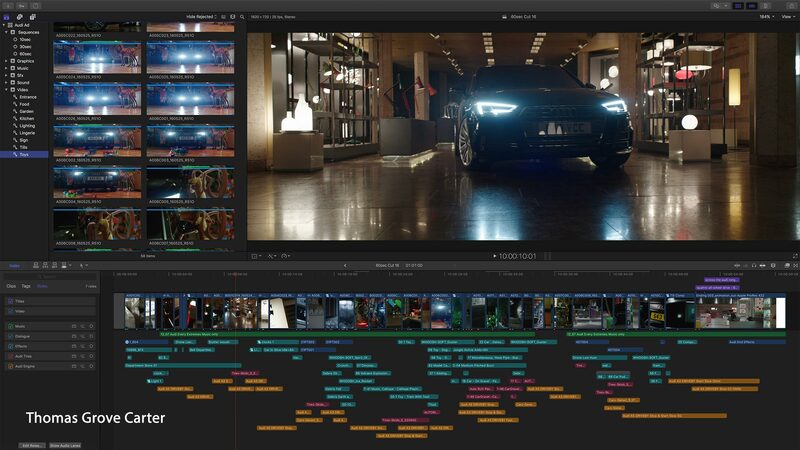 Final Cut Pro X uses Metal, Apple’s method to leverage the combined power of the GPU and CPU. Naturally the iMac Pro bested all of the times by half or more. The mini’s times – using only the Intel GPU – were actually similar to the older MacBook Pro, though noticeably faster with Resolve. The general editing experience was good, but video was a bit “sticky” when scrubbing/skimming through 4K media – thanks to the slow external drive. Once I moved the media onto the Mac mini’s blazingly fast SSD (around 2800 MB/s read-write speeds), the result was a super-responsive editing experience. I don’t recommend working with your raw camera footage on the internal drive, so if you edit large projects with a lot of media, then adding a fast, external Thunderbolt 3 drive or RAID array is the way to go. The 1TB size of the internal flash drive is the sweet spot for most editors. Companies with ethernet-based NAS shared storage systems will want to get the 10GigE upgrade when purchasing a Mac mini if they intend to edit with it. That’s not to say the Mac mini is the most powerful without the extra GPU power. There are some GPU-accelerated effects that will definitely cause stuttering playback and dropped frames. Blurs are an obvious example. When I tested some blurs, playback generally held up until I added a mask to the effect in Premiere. But remember, I’m working with 4K media in native codecs. As a rule, Premiere Pro simply doesn’t handle this type of content as fluidly as Final Cut Pro X. I was able to push FCPX a bit farther without issues than I could Premiere. 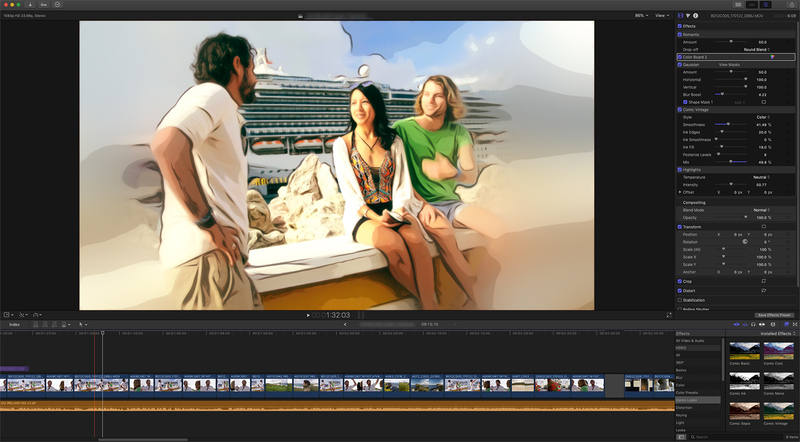 And, of course, if you want to use it, FCPX can aid the situation with background rendering. Speaking as an editor and colorist, I’ve been happy with how the Mac mini performs. While not the most powerful Mac made, the mini is still a robust creative tool. 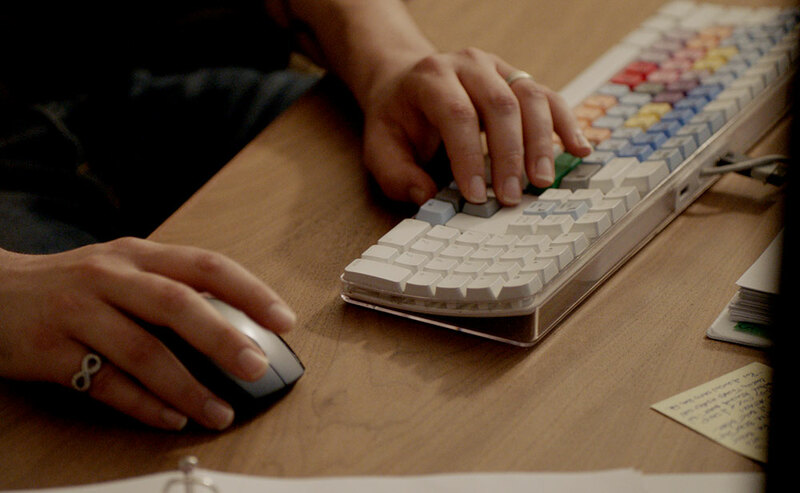 Do you edit commercials, corporate video, or entertainment programming? If so, then there’s very little you’ll find issue with in daily operation. The mini presents a good price/performance bargain for editors, musicians, sound designers, graphic artists, photographers, and others. That’s even more the case if you already own the rest of the package. I think it’s worth making a cost comparison before I close. You can certainly beef up the Mac mini quite a bit; however, in doing so, you should compare the other Mac options before buying. For example, let’s say you completely option out the mini and then add all the Apple store peripherals, including Apple keyboard/mouse, the LG 5K display, and a BMD eGPU Pro. That total would run $6945. Naturally those items from Apple are going to cost a bit more than third-party options. But to compare, the equivalent package in an eight-core iMac Pro with the base GPU, 64GB RAM, and a 2TB SSD would run $6599. That’s the same Vega 56 GPU as in the eGPU Pro, plus you have an eight-core Xeon instead of a Core i7 CPU. Clearly the iMac Pro would be the better choice, because you aren’t buying three enclosures, cooling systems, and power supplies. But if you don’t need that horsepower, already own some of the peripherals, or are better served by the modular design of the Mac mini, then the calculation shifts. When I work on my own, it’s either with the MacBook Pro or an aging Mac Pro tower. My home editing demands are not as taxing as when I work freelance at other shops. I certainly would have no qualms about shifting projects like those to a Mac mini as a replacement computer, because it can deliver a reliable level of performance without breaking the bank. For more on the Mac mini and editing, check out this coverage at FCP.co. It’s a new year, but the doesn’t mean that the editing software landscape will change drastically in the coming months. 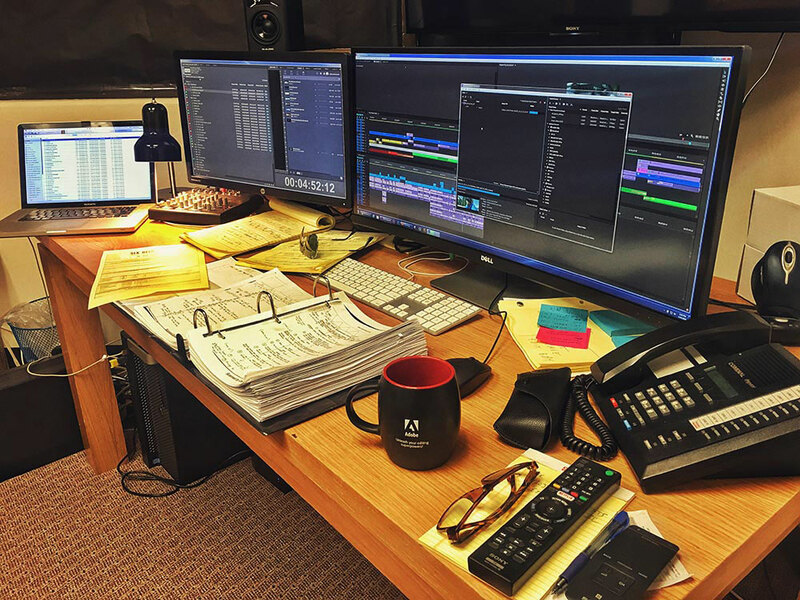 For all intents and purpose, professional editing options boil down to four choices: Avid Media Composer, Adobe Premiere Pro, Apple Final Cut Pro X, and Blackmagic Design DaVinci Resolve. Yes, I know Vegas, Lightworks, Edius, and others are still out there, but those are far off on the radar by comparison (no offense meant to any happy practitioners of these tools). Naturally, since blogs are mainly about opinions, everything I say from here on is purely conjecture. Although it’s informed by my own experiences with these tools and my knowing many of the players involved on the respective product design and management teams – past and present. 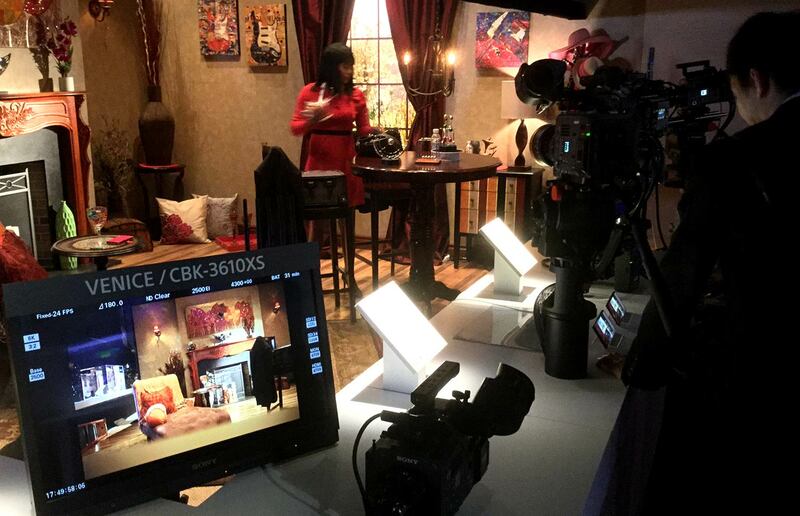 Avid continues to be the go-to NLE in the feature film and episodic television world. That’s certainly a niche, but it’s a niche that determines the tools developed by designers for the broader scope of video editing. Apple officially noted two million users for Final Cut Pro X last year and I’m sure it’s likely to be at least 2.5M by now. Adobe claims Premiere Pro to be the most widely used NLE by a large margin. I have no reason to doubt that statement, but I have also never seen any actual stats. I’m sure through the Creative Cloud subscription mechanism Adobe not only knows how many Premiere Pro installations have been downloaded, but probably has a good idea as to actual usage (as opposed to simply downloading the software). Bringing up the rear in this quartet is Resolve. While certainly a dominant color correction application, I don’t yet see it as a key player in the creative editing (as opposed to finishing) space. With the stage set, let’s take a closer look. Editors who have moved away from Media Composer or who have never used it, like to throw shade on Avid and its marquee product. 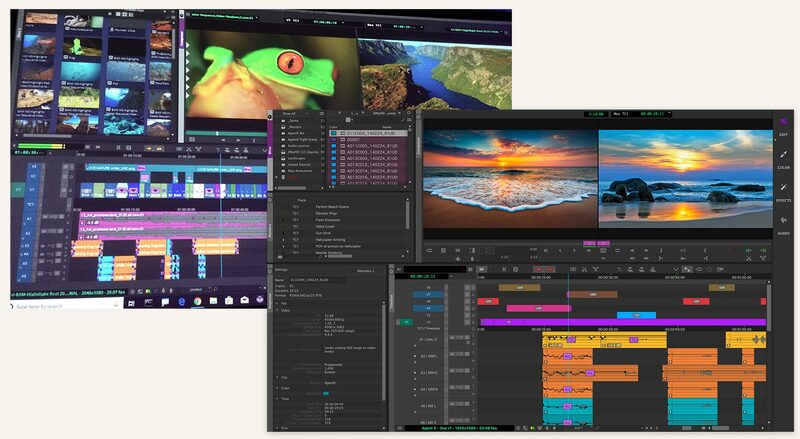 But loyal users – who include some of the biggest names in film editing – stick by it due in part to familiarity, but also its collaborative features and overall stability. As a result, the development pace and rate of change is somewhat slow compared with the other three. In spite of that, Avid is currently on a schedule of a solid, incremental update nearly every month – each of which chips away at a long feature request list. The most recent one dropped on December 31st. Making significant changes without destroying the things that people love is a difficult task. Development pace is also hindered by the fact that each one of these developers is also chasing changes in the operating system, particularly Apple and macOS. Sometimes you get the feeling that it’s two steps forward, one step back. As editors, we focus on Media Composer, but Avid is a much bigger company than just that, with its fingers in sound, broadcast, storage, cloud, and media management. If you are a Pro Tools user, you are just as concerned about Avid’s commitment to you, as editors are to them. 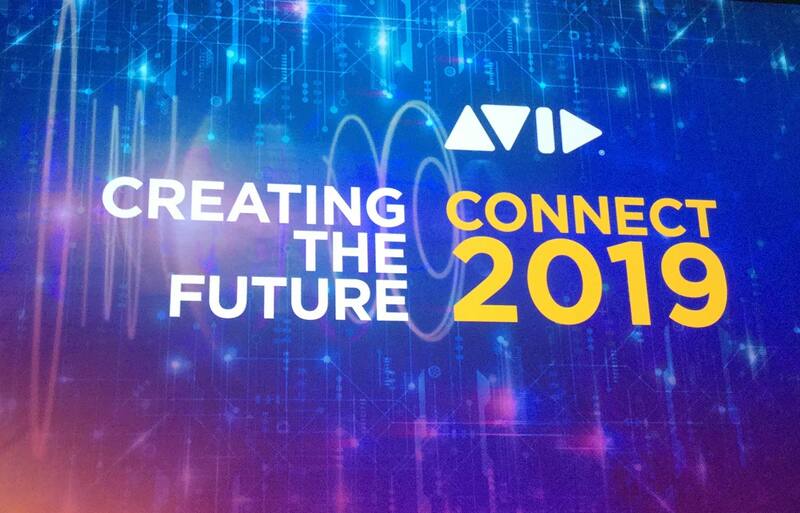 Like any large company, Avid must advance not just a single core product, but its ecosystem of products. Yet it still must advance the features in these products, because that’s what gets users’ attention. In an effort to improve its attraction to new users, Avid has introduced subscription plans and free versions to make it easier to get started. They now cover editing and sound needs with a lower cost-of-entry than ever before. I started nonlinear editing with Avid and it will always hold a spot in my heart. Truth be told, I use it much less these days. However, I still maintain current versions for the occasional project need plus compatibility with incoming projects. I often find that Media Composer is the single best NLE for certain tasks, mainly because of Avid’s legacy with broadcast. This includes issues like proper treatment of interlaced media and closed captioning. So for many reasons, I don’t see Avid going away any time soon, but whether or not they can grow their base remains an unknown. Fortunately many film and media schools emphasize Avid when they teach editing. If you know Media Composer, it’s an easy jump to any other editing tool. The most widely used NLE? At least from what I can see around me, it’s the most used NLE in my market, including individual editors, corporate media departments, and broadcasters. Its attraction comes from a) the versatility in editing with a wide range of native media formats, and b) the similarity to – and viable replacement for – Final Cut Pro “legacy”. It picked up steam partly as a reaction to the Final Cut Pro X roll-out and users have generally been happy with that choice. While the shift by Adobe to a pure subscription model has been a roadblock for some (who stopped at CS6), it’s also been an advantage for others. I handle the software updates at a production company with nine edit systems and between the Adobe Creative Cloud and Apple Mac App Store applications, upgrades have never been easier. A big criticism of Adobe has been Premiere’s stability. Of course, that’s based on forum reads, where people who have had problems will pipe up. Rarely does anyone ever post how uneventful their experience has been. I personally don’t find Premiere Pro to be any less stable than any other NLE or application. Nonetheless, working with a mix of oddball native media will certainly tax your system. Avid and Apple get around this by pushing optimized and proxy media. As such, editors reap the benefits of stability. And the same is true with Premiere. Working with consistent, optimized media formats (transcoded in advance) – or working with Adobe’s own proxies – results in a more stable project and a better editing experience. Avid Media Composer is the dominant editing tool in major markets, but mainly in the long-form entertainment media space. 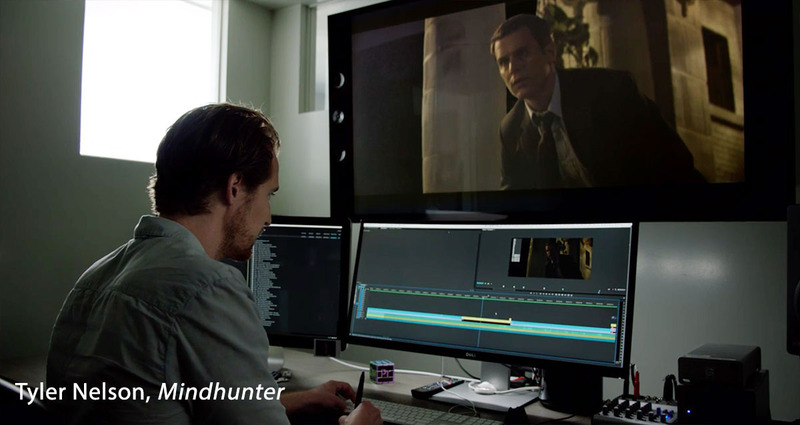 Many of the top trailer and commercial edit shops in those same markets use Premiere Pro. Again, that goes back to the FCP7-to-Premiere Pro shift. Many of these companies had been using the old Final Cut rather than Media Composer. Since some of these top editors also cut features and documentaries, you’ll often see them use Premiere on the features that they cut, too. 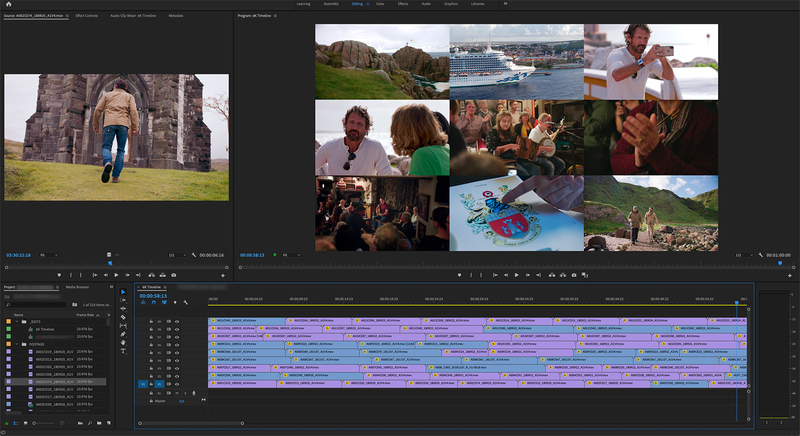 Once you get below the top tier of studio films and larger broadcast network TV shows, Premiere Pro has a much wider representation. That certainly is good news for Adobe and something for Avid to worry about. Another criticism is that of Adobe’s development pace. Some users believed that moving to a subscription model would speed the development pace of new versions – independent of annual or semi-annual cycles. Yet cycles still persist – much to the disappointment of those users. This gets down to how software is actually developed, keeping up with OS changes, and to some degree, marketing cycles. For example, if there’s a big Photoshop update, then it’s possible that the marketing “wow” value of a large Premiere Pro update might be overshadowed and needs to wait. Not ideal, but that’s the way it is. Just because it’s possible, doesn’t mean that users really want to constantly deal with automatic software updates that they have to keep track of. This is especially true with After Effects and Premiere Pro, where old project files often have to be updated once you update the application. And those updates are not backwards compatible. Personally, I’m happy to restrict that need to a couple of times a year. Users have the fear that a manufacturer is going to end-of-life their favorite application at some point. For video users, this was made all too apparent by Apple and FCPX. Neither Apple nor Adobe has been exempt from killing off products that no longer fit their plans. Markets and user demands shift. Photography is an obvious example here. In recent years, smart phones have become the dominant photographic device, which has enabled cloud-syncing and storage of photos. Adobe and Apple have both shifted the focus for their photo products accordingly. If you follow any of the photo blogs, you’ll know there’s some concern that Adobe Lightroom Classic (the desktop version) will eventually give way completely to Lightroom CC (the cloud version). When a company names something as “classic”, you have to wonder how long it will be supported. If we apply that logic to Premiere Pro, then the new Adobe Rush comes to mind. Rush is a simpler, nimbler, cross-platform/cross-device NLE targeted as users who produce video starting with their smart phone or tablet. Since there’s also a desktop version, one could certainly surmise that in the future Rush might replace Premiere Pro in the same way that FCPX replaced FCP7. Personally, I don’t think that will happen any time soon. Adobe treats certain software as core products. Photoshop, Illustrator, and After Effects are such products. Premiere Pro may or may not be viewed that way internally, but certainly more so now than ever in the past. 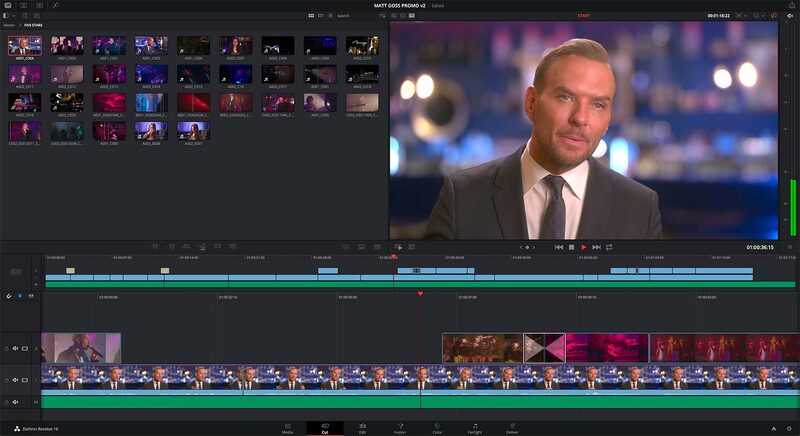 Premiere Pro is being positioned as a “hub” application with connections to companion products, like Prelude and Audition. For now, Rush is simply an interesting offshoot to address a burgeoning market. 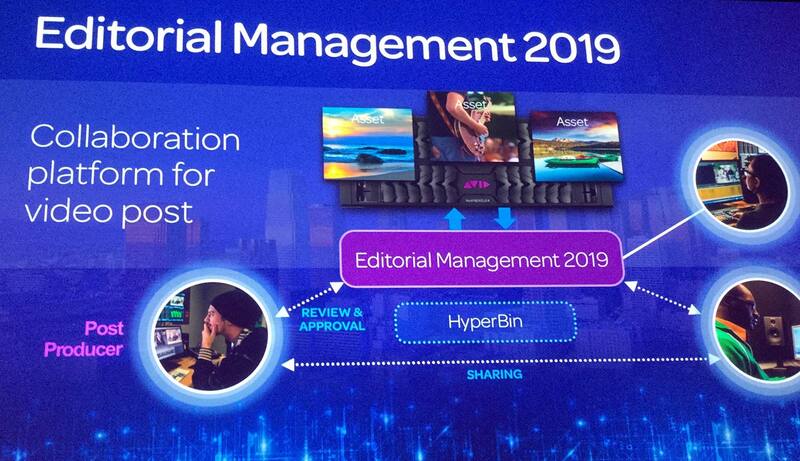 It’s Adobe’s second NLE, not a replacement. But time will tell. 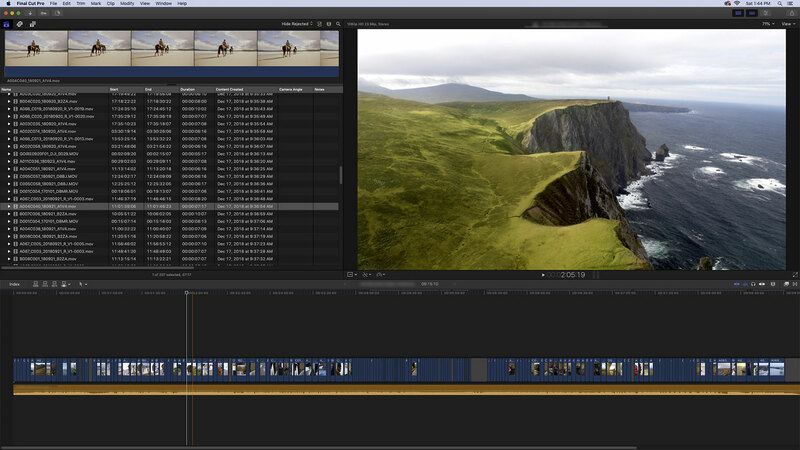 Apple released Final Cut Pro X in the summer of 2011 – going on eight years now. It’s a versatile, professional tool that has improved greatly since that 2011 launch and gained a large and loyal fan base. 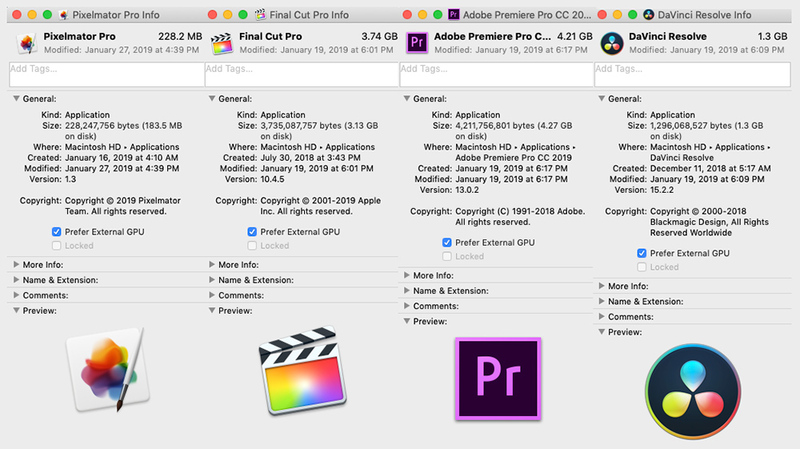 Many FCPX users are also Premiere Pro users and the other way around. It can be used to cut nearly any type of project, but the interface design is different from the others, making it an acquired taste. 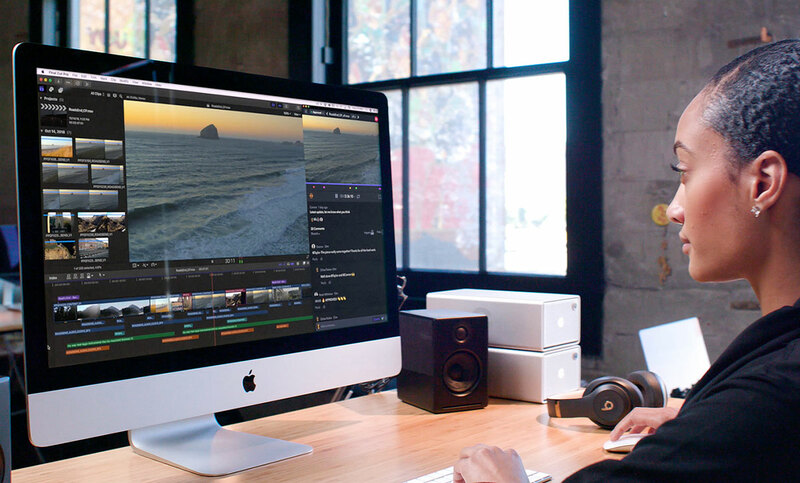 Being a Mac-only product and developed within the same company that makes the hardware and OS, FCPX is optimized to run on Macs more so than any cross-platform product can be. 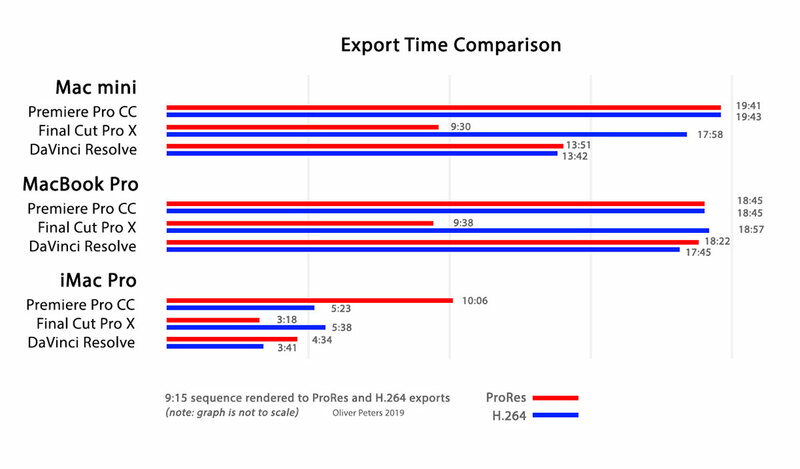 For example, the fluidity of dealing with 4K ProRes media on even older Macs surpasses that of any other NLE. Prognosticating Apple’s future plans is a fool’s errand. Some guesses have put the estimated lifespan of FCPX at 10 years, based in part on the lifespan of FCP “legacy”. I have no idea whether that’s true of not. Often when I read interviews with key Apple management (as well as off-the-record, casual discussions I’ve had with people I know on the inside), it seems like a company that actually has less of a concrete plan when it comes to “pro” users. Instead, it often appears to approach them with an attitude of “let’s throw something against the wall and see what sticks”. The 2013 Mac Pro is a striking example of this. It was clearly innovative and a stellar exhibit for Apple’s “think different” mantra. Yet it was a product that obviously was not designed by actually speaking with that product’s target user. Apple’s current “shunning” of Nvidia hardware seems like another example. One has to ask whether a company so dominated by the iPhone is still agile enough to respond to the niche market of professional video editors. While Apple products (hardware and software) still appeal to creatives and video professionals, it seems like the focus with FCPX is towards the much broader sphere of pro video. Not TV shows and feature films (although that’s great when it comes) – or even high-end commercials and trailers – but rather the world of streaming channels, social media influencers, and traditional publishers who have shifted to an online media presence from a print legacy. These segments of the market have a broad range of needs. After all, so called “YouTube stars” shoot with everything from low-end cameras and smart phones all the way up to Alexas and REDs. Such users are equally professional in their need to deliver a quality product on a timetable and I believe that’s a part of the market that Apple seeks to address with FCPX. If you are in the world of the more traditional post facility or production company, then those users listed above may be market segments that you don’t see or possibly even look down upon. I would theorize that among the more traditional sectors, FCPX may have largely made the inroads that it’s going to. Its use in films and TV shows (with the exception of certain high-profile, international examples) doesn’t seem to be growing, but I could be wrong. Maybe the marketing is just behind or it no longer has PR value. Regardless, I do see FCPX as continuing strong as a product. Even if it’s not your primary tool, it should be something in your toolkit. Apple’s moves to open up ProRes encoding and offering LumaForge and Blackmagic eGPU products in their online store are further examples that the pro customer (in whatever way you define “pro”) continues to have value to them. That’s a good thing for our industry. 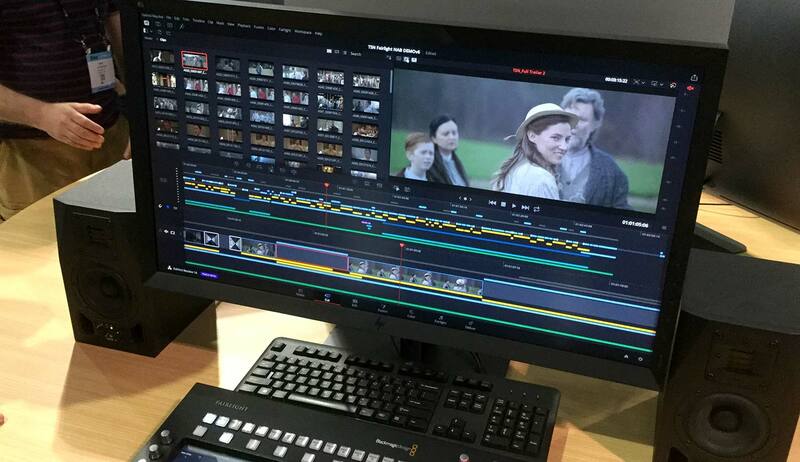 No one seems to match the development pace of Blackmagic Design. 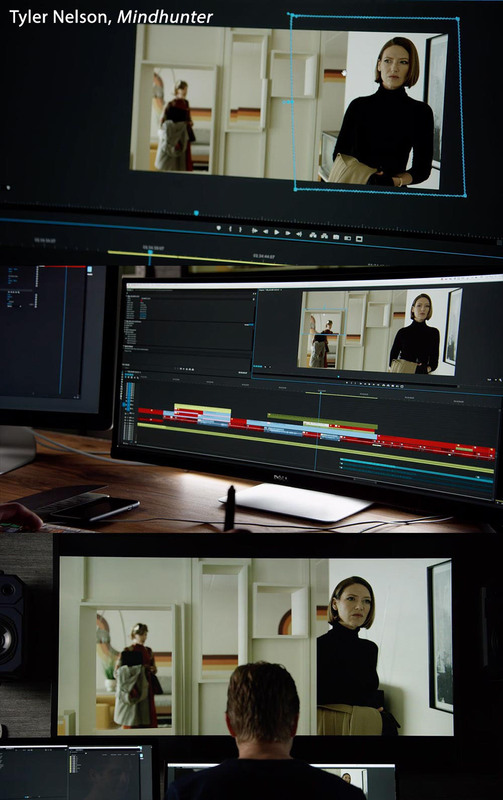 DaVinci Resolve underwent a wholesale transformation from a tool that was mainly a high-end color corrector into an all-purpose editing application. Add to this the fact that Blackmagic has acquired and integrated a number of companies, whose tools have been modernized and integrated into Resolve. Blackmagic now offers a post-production solution with some similarities to FCPX while retaining a traditional, track-based interface. It includes modes for advanced audio post (Fairlight) and visual effects (Fusion) that have been adapted from those acquisitions. Unlike past all-in-one applications, Resolve’s modal pages retain the design and workflow specific to the task at hand, rather than making them fit into the editing application’s interface design. All of this in a very short order and across three operating systems, thus making their pace the envy of the industry. But a fast development pace doesn’t always translate into a winning product. In my experience each version update has been relatively solid. There are four ways to get Resolve (free and paid, Mac App Store and reseller). That makes it a no-brainer for anyone starting out in video editing, but who doesn’t have the specific requirement for one application over another. I have to wonder though, how many new users go deep into the product. If you only edit, there’s no real need to tap into the Fusion, Fairlight, or color correction pages. Do Resolve editors want to finish audio in Fairlight or would they rather hand off the audio post and mix to a specialist who will probably be using Pro Tools? The nice thing about Resolve is that you can go as deep as you like – or not – depending on your mindset, capabilities, and needs. On the other hand, is the all-in-one approach better than the alternatives: Media Composer/Pro Tools, Premiere Pro/After Effects/Audition, or Final Cut Pro X/Motion/Logic Pro X? I don’t mean for the user, but rather the developer. Does the all-in-one solution give you the best product? 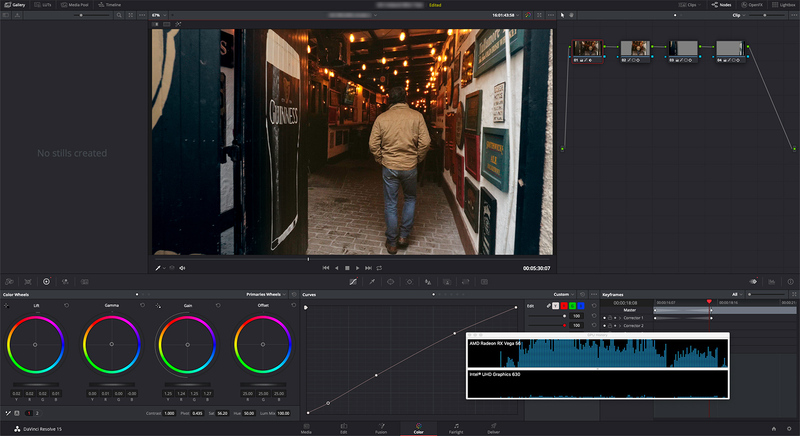 The standalone version of Fusion is more full-featured than the Fusion page in Resolve. Fusion users are rightly concerned that the standalone will go away, leaving them with a smaller subset of those tools. I would argue that there are already unnecessary overlaps in effects and features between the pages. So are you really getting the best editor or is it being compromised by the all-in-one approach? I don’t know the answer to these questions. Resolve for me is a good color correction/grading application that can also work for my finishing needs (although I still prefer to edit in something else and roundtrip to/from Resolve). It’s also a great option for the casual editor who wants a free tool. Yet in spite of all its benefits, I believe Resolve will still be a distant fourth in the NLE world, at least for the next year. The good news is that there are four great editing options in the lead and even more coming from behind. There are no bad choices and with a lower cost than ever, there’s no reason to limit your knowledge to only one. After all, the products that are on top now may be gone in a decade. So broaden your knowledge and define your skills by your craft – not your tools! There are many workflows that involve collaboration, with multiple editors and designers working on the same large project or group of projects. Let me say up front that if you want the best possible collaborative experience with multiple editors, then work with Avid Media Composer. Full stop. I have worked both sides of the equation and without a doubt, Media Composer connected to Avid Unity/Isis/Nexis shared storage is simply not matched by Final Cut Pro, Final Cut Pro X, Premiere Pro, or any other editing software/storage/cloud combination. 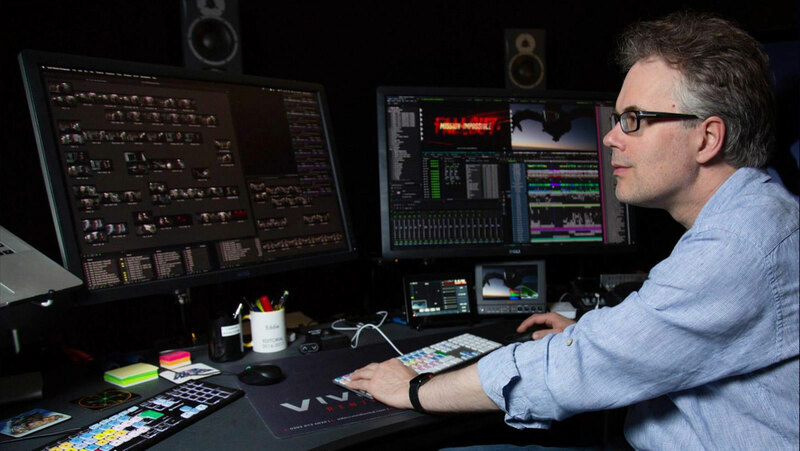 Everything else is a compromise, which is why feature film and TV series editorial teams continue to select Avid solutions as their first choice. In spite of that, there are many reasons to use other editing tools. I work most of the time in Adobe Premiere Pro CC and freelance at a shop with nine edit workstations connected to shared storage. We work mainly in Adobe Creative Cloud applications and our projects involve a lot of collaboration. Some of these are corporate videos that are frequently edited and revised by different editors. Some are entertainment shows, cut by a small editorial team focused on those shows. For some projects, Premiere Pro is the perfect tool. 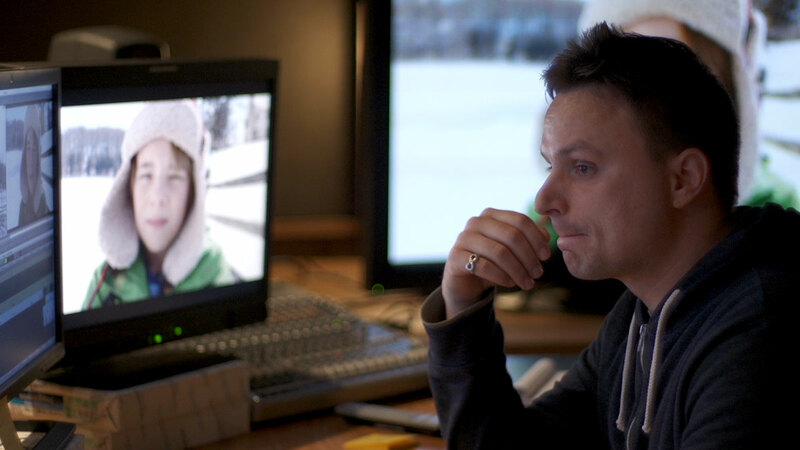 For others, we have to develop strategies to adapt Premiere to our workflow. With that in mind, the following are tips and best practices that I’ll share for what has worked best for us over the past three years, while working on large projects with a team of editors. Although it applies to our work with Premiere Pro, the same would generally be true if we were working with Apple Final Cut Pro X instead. Organization. We organize all projects into a specific folder structure, using a Post Haste template. All media files, like camera footage, audio, graphic elements, etc. go into common folders. Editors know where to look to find things. When new camera footage comes in, files are organized as “dailies” into specific folders by date, camera, and camera card. Non-pro formats, like GoPro and DSLR footage will be batch-renamed to reflect the project, date, and camera card. The objective is to have unique file names for each and every media file. Optimized, transcoded, or proxy media. Depending on the performance and amount of media, you may need to do some prep work before even starting the edit process. Premiere and FCPX work well with some media formats and not with others. NAS/SAN storage is particularly taxing, especially once you get to resolutions greater than HD. If you want the most fluid experience in a shared workflow, then you will likely need to transcode proxy files from within the application. The reason to stay inside of FCPX or Premiere Pro is so that frame size offsets are properly tracked. Once proxies have been transcoded, it’s a simple matter of toggling between the proxy media (best playback performance) and full-resolution media (best image quality). On the other hand, if you’d rather stick to full-resolution, native media, then some formats will have to be transcoded into “optimized” media. For instance, GoPro 4K footage is terrible to edit with natively. It should always be transcoded to ProRes or DNxHD before editing, if you don’t want to go the proxy route. This can be done inside or outside of the application and is an easy task with DaVinci Resolve, EditReady, Adobe Media Encoder, or Apple Compressor. Finally, if you have image sequences from a drone or other source, forget trying to edit from these off of a network. Transcode them right away into some format of master movie file. I find Resolve to be the best tool for this. It’s fast and since these are often camera raw files, you can apply a base grade to them as a starting point for future color correction. Break up your projects. Depending on the type and size of the job and number of editors working on it, you may choose to work in multiple Premiere projects. There may be a master file where all media is imported and initially organized. Then there may be multiple projects that are offshoots from this for component parts. 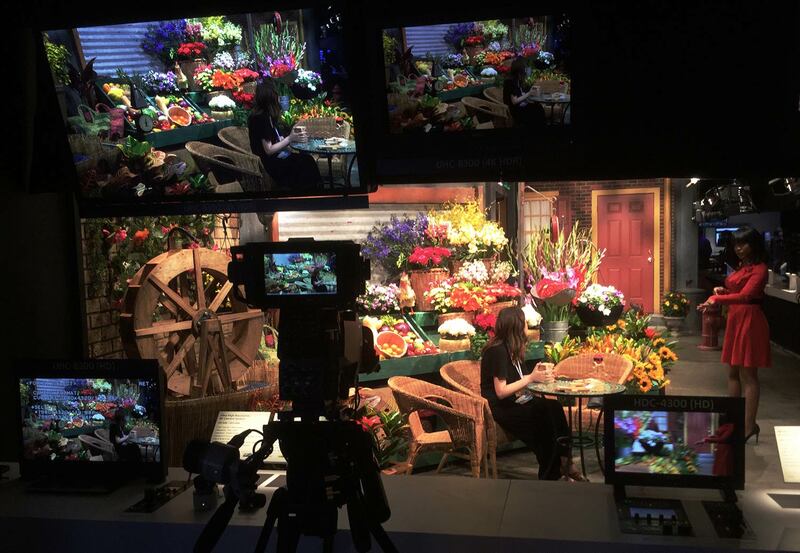 In a corporate environment, it could be several different videos cut from a single, larger set of media. In a feature film, there could be different Premiere projects for each reel of the film. Since Premiere Pro employs project locking, any project opened by one editor can also be opened in a read-only mode by other editors. 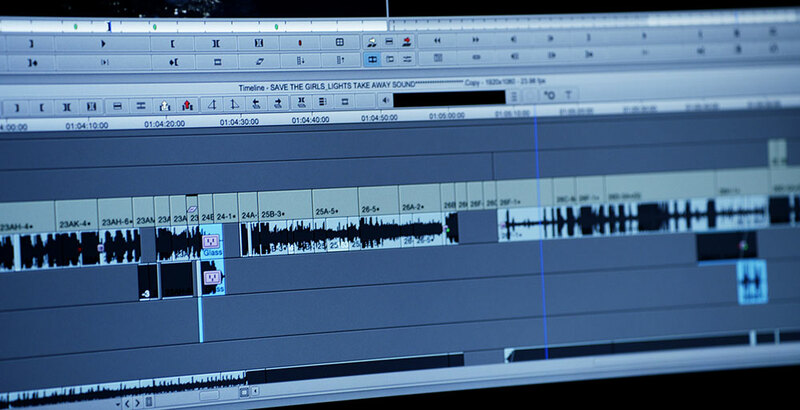 Editors can have multiple Premiere projects open at one time. Thus, it’s simple to bring in elements from one project into another, even while they are all open. This workflow mimics Avid’s bin-locking strategy. It helps to keep project files streamlined as progress on the production extends over time. You want to keep the number of sequences in any given project small. Periodically duplicate your project(s), strip out old sequences from the current project, and archive the older project files. As a general note, while working to build the creative story edits – i.e. “offline editing” – you will want to keep plug-in filter effects to a minimum. In fact, it’s generally a good idea to keep the plug-in selection on each system small, so that all workstations in this shared environment are able to have the same set of installed plug-ins. The same is true of fonts. Finishing stages of post. There are generally two paths in the finishing, aka “online editing” stage. 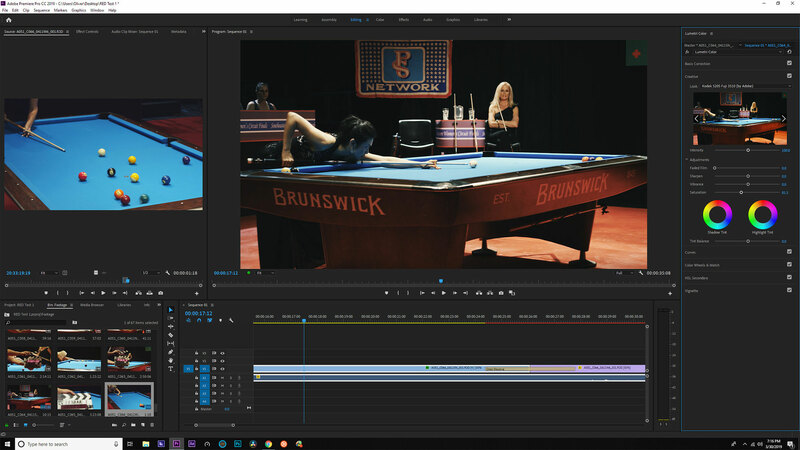 Either all final color correction and assembly of effects is completed within Premiere Pro, or there is a roundtrip through a color correction application, like Blackmagic Design DaVinci Resolve. The same holds true for audio, where a separate sound editor/designer/mixer may handle the finishing touches in Avid Pro Tools. 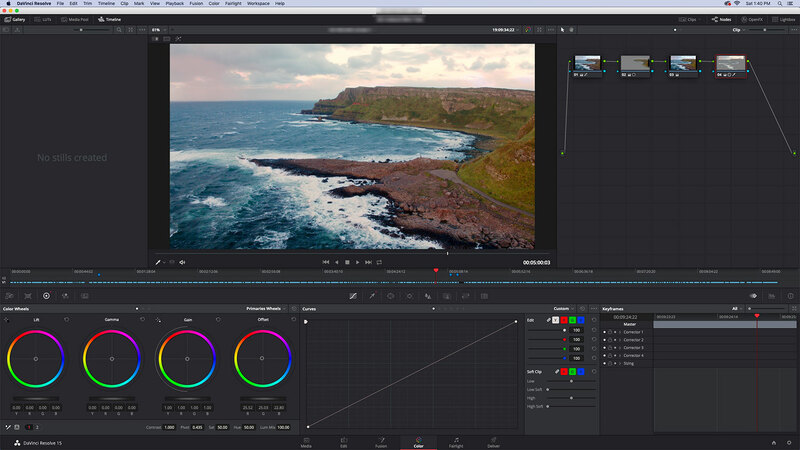 To accomplish an easy roundtrip with Resolve, create a sequence with all color correction and effects removed. Flatten the video to a single track (if possible), and remove the audio or do a simple stereo mixdown for reference. Ideally, media with mixed frame rates should be addressed as slow motion in the edited sequence. Avoid modifying the frame rate through any sort of “interpret” function within the application. Export an XML or AAF and send that and the associated media to Resolve. When color correction is complete, you can render the entire timeline at the sequence resolution as a single master file. Conversely, if you want to send it back to Premiere Pro for final assembly and to complete the roundtrip, then render individual clips at their source resolution with handles of one to two seconds. Back in Premiere, re-apply titles, insert completed visual effects, and add any missing plug-in effects. With audio post, there will be no roundtrip of elements, since the mixer will deliver a completed mixed stereo or surround track. This should be imported into Premiere (or Resolve if the final master is created in Resolve) and married back to the final video sequence. The mixer should also supply “stems” – the individual dialogue, music, and sound effects (D/M/E) submix tracks. Mastering. Final sequences should be exported in a master file format (ProRes, DNxHD/HR, uncompressed) in at least two forms: 1) master with final mix and titles, and 2) textless submaster with split-track audio (multiple channels containing the D/M/E stems). All of these files are stored within the same job-based folder structure outlined at the top. It is quite common that future revisions will be made using the textless submaster rather than re-opening the full project, or that it may be used as source material in another edit. Another aspect of finishing the project is media consolidation. This means taking the final sequence and generating a new project file from it. That file contained only those elements from the sequence, along with a copy of the media used, where each file has been trimmed to the portion within the sequence (plus handles). This is the Project Manager function in Premiere Pro. Unfortunately, Premiere is not consistently good at this task. Some formats will be properly trimmed, while others will be copied in their entirety. That’s OK for a :10 take, but a bummer when it’s a 30-minute interview. The good news is that if you went through the Resolve roundtrip workflow and rendered individual clips, then effectively Resolve has already done media consolidation as a byproduct. 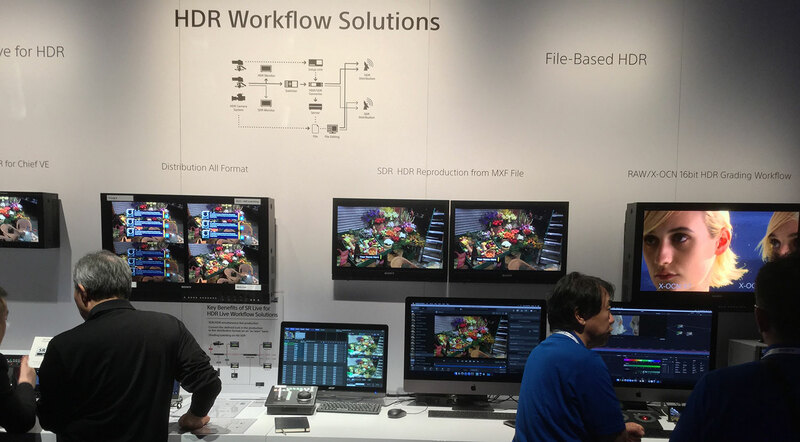 In addition, if your source media is 4K, but you only finished in HD, the Resolve renders will be 4K. If in the future, you need to deliver the same master in 4K, everything is already set. Of course, that assumes that you didn’t do a lot of “punching in” and reframing in your edit sequence. Cloud-based services. Often collaboration requires a distributed team, when not everyone is under one roof. While Adobe does offer cloud-based team editing methods, this doesn’t really work when editors are on different Creative Cloud accounts or when the collaboration is between an editor and a graphic designer/animator/VFX artist working in non-Adobe tools. In that case the old standbys have been Dropbox, Box, or Google Drive. Syncing is easy and relatively reliable. However, these are really just designed for sharing assets. But when this involves a couple of editors and each has a local, mirrored set of media, then simple sharing/syncing of only small project files makes for a working collaborative method. Frame.io is the newbie here, with updated extension tools designed for in-application workspace panels within Final Cut Pro X, After Effects, and Premiere Pro. While they tout the ease of moving full-resolution media into their cloud, including camera files, I really wouldn’t recommend doing that. It’s simply not very practical on must projects. But for sharing cuts using a standard review-and-approach workflow, Frame.io definitely hits most of the buttons.